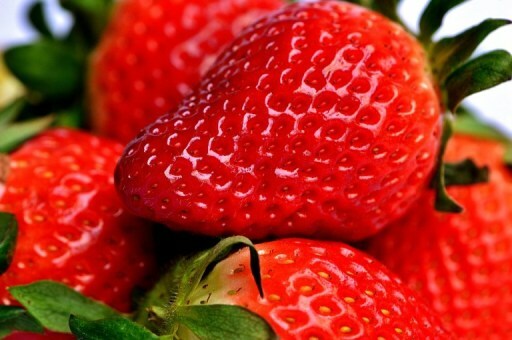 SAN FRANCISCO (CN) — With billions of dollars at stake on the final day of a bench trial on equitable claims and a possible injunction, two retired UC Davis researchers tried to persuade a federal judge that California’s strawberry industry will benefit if they are allowed to compete with UC Davis by selling strawberry varieties they invented at the school. The assertion was a direct rebuttal to the one UC Davis presented at day one of the bench trial: that the industry will suffer if the school’s former scientists get the green light to compete with it using the varietals. “Is it beneficial to have competition? If there is a delay for the University of California [in releasing new varieties], would it be more beneficial that a competitor can release?” the scientists’ attorney Rick McKnight asked David Blackburn, an applied economics expert, on Thursday. Blackburn answered yes to both questions, citing the benefit of robust competition in the state’s $2.5 billion annual strawberry market. A federal jury found last week that Shaw and Larson willfully infringed nine of UC Davis’s strawberry patents and used its unpatented plants without permission to breed strawberries for CBC. Most California strawberries — the state’s fifth most valuable crop — come from strains Shaw and Larson developed at UC Davis. UC Davis rejected Shaw’s proposal after initially expressing interest. In 2016, it sued Shaw, Larson and CBC for conversion and patent infringement, claiming the men used its strawberry varieties to breed new ones for CBC after it refused to license them. Shaw and Larson counterclaimed that the school acted in bad faith by trying to patent 168 varieties of strawberries in a single patent, freezing CBC’s ability to work with the plants. California farmers pay less for strawberries developed at UC Davis and get access to new and better varieties before farmers outside the state get them. Once CBC begins releasing new varieties, its farmer-members will get priority access. CBC members account for up to 75 percent of UC Davis’s strawberry program revenues, and the school estimates that competition from CBC will eventually translate to a 75 percent revenue loss for the program. UC Davis uses the revenue to run the program, and insists competition from CBC using its sought-after varieties, which have outperformed the market for two decades, would undermine its ability to maintain the program. “I suppose that is possible, but it’s hard for me to believe that every plant that CBC introduces over the next few years is going to be comparable or better to every plant the University of California produces for every type of grower out there,” Blackburn said in response to UC Davis’s estimate. Examining Blackburn, McKnight suggested that UC Davis alone would be to blame if it lost its customers en masse to CBC. Dillard said the consequences would stretch beyond the strawberry program to every breeding program at the school. UC Davis seeks injunctions prohibiting breeding with its plants and requiring CBC to turn over all of the university-created plants and their offspring in its possession, among other relief. A hearing on post-trial motions has been set for July 6 before U.S. District Judge Vince Chhabria.